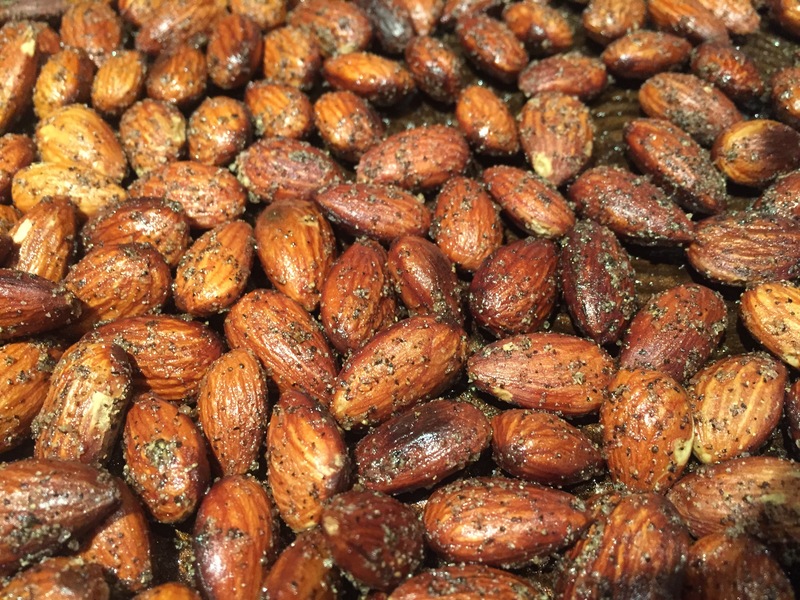 Internet is alive with a blog post and website extolling the virtues of eating almonds. If you could believe everything that you read, almonds can do everything from curing cancer to reversing heart disease. The almond is a nutritionally dense food and a good source of riboflavin and niacin, vitamin E, and the essential minerals calcium, iron, magnesium, manganese, phosphorus, zinc, thiamine, vitamin B6, and folate; choline; and the essential mineral potassium. They are also rich in dietary fiber, monounsaturated fats, and polyunsaturated fats, fats which potentially may lower LDL cholesterol. I generally like healthy foods, but raw almonds are too bland and flavorless. This is a simple recipe to spice it up a bit. Feel free to substitute your favorite spices for the pepper. 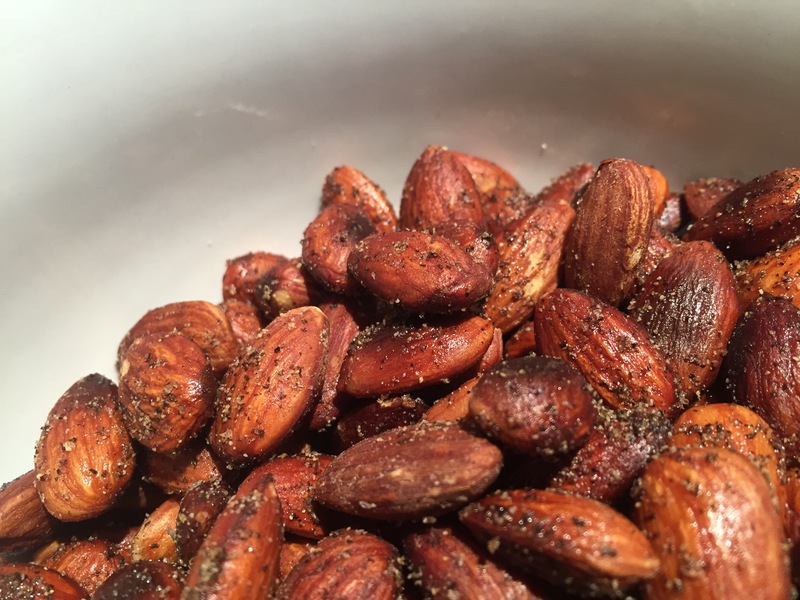 Toss all ingredients together in a large bowl until the almonds are well coated. Roast in a single layer on a cookie sheet at 350° for 10 to 12 minutes, shaking the pan once during roasting. Cool completely before eating. Store in a sealed container for up to two weeks.